Do you find yourself or your hiring managers spending too much time formatting resumes? Taking the time to appreciate the candidate and make a good match is one thing, wasting time on mindless tasks is another. Resume formatting is not a useful function in itself, rather its usefulness comes in what it helps the reader do with the resume. This makes resume formatting an excellent opportunity to use automation to make your hiring process more efficient, saving you time, headaches, and money. Below we’ll be taking a deep dive into how an online resume formatting system can save you time and money! 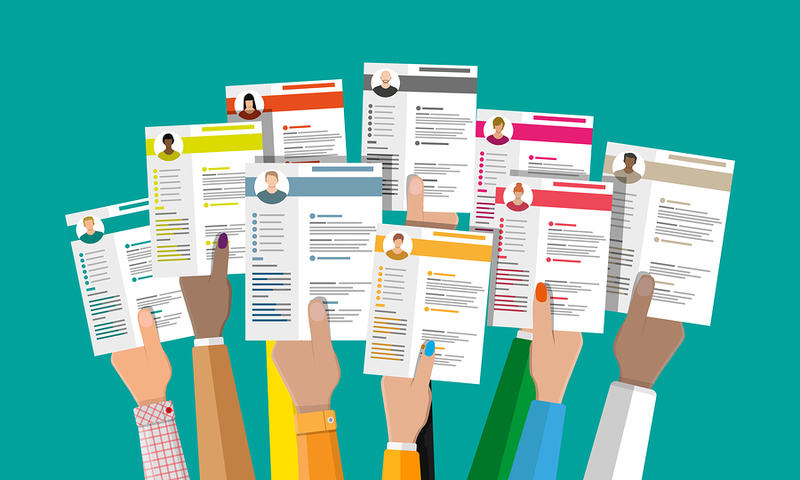 For those who know nothing about it, resume formatting is the act of entering a resume into a spreadsheet or candidate relationship management system (recruitment CRM) with a set format, and ensuring all resumes match this format. A client or HR department designates a certain format for all resumes and either a person or a piece of software conforms each resume to that format. This is not a design issue, it is making the way the information in the resumes is displayed uniform. Why Does a Business Need Resume Formatting? There are many reasons for wanting to change a resume format. One may want to remove the candidate’s contact information to prevent the reader from performing your task. This keeps a client from calling a candidate themselves rather than letting the recruiter do it or a member of the hiring team accidentally calling another member’s candidate. It jars the brain to read many resumes that all look different. Recruiters and hiring managers read dizzying amounts of resumes in a short period of time. Comparing a resume in one format to one in a completely different format over and over confuses the recruiter and makes reading the resumes take up too much time. Think about all the things that can be different including varying name formats, date formats, differing orders of information from education to experience to descriptions, a lack of certain sections like a description, the use of bullets or not using bullets. The list goes on and on. When you return to a resume to answer a question for yourself or to refresh yourself for an interview, it’s a lot quicker and easier to know exactly where to look for the information because the resume is in the same format as every other one in your possession. You may want to hide information in the resume to encourage a blind hiring strategy. If you’re working hard on your diversity efforts and want to employ blind hiring, any information that may tip off a hiring manager to certain triggers for unconscious bias needs to be hidden. This could include photos, names, addresses, schools, and more. They can’t have a bias toward it if they can’t see it. You can use headers and footers to further the brand of your recruiting firm or add information you’d like to have attached to all resumes like the contact information for your recruiting firm. Isn’t This Extra Work, Taking More Valuable Time? Yes it is. Manually formatting resumes takes up a great deal of time. Specifically, it takes 5 to 40 minutes to manually format a resume, depending on how much formatting the resume needs. The average time is 20 minutes. When you do that with dozens of resumes in a day, it adds up to a significant chunk of time. This is time that recruiters and hiring managers could be using to tackle much more important things like actually getting to know the candidates and building effective hiring strategies. The answer is not to avoid formatting resumes, because this task is extremely helpful. Rather, one should use a resume formatting service to automate the resume formatting step. With an automated resume formatting service, resumes are formatted to your specifications in less than 15 seconds. You get a perfectly formatting resume set to your business’ needs without wasting valuable time making it happen. How Does an Online Resume Formatting System Work? You create a resume format per your needs, known as a resume template. 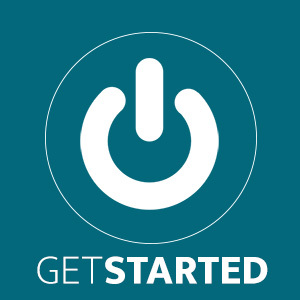 Then, connect your careers page to your resume formatting service, or upload resumes into it, and the online resume formatting system will make all the changes for you in seconds. You can then download them, email them, or have them added to the CRM. applying one standard date format, month/day or day/month, etc. applying a standard name format, first name first or last name first, etc. Who Can Benefit From a Resume Formatting Service? You may be thinking that your small business is too small to warrant the use and cost of a resume formatting service. You would be mistaken, in this case happily so. Resume formatting services can suit any business. The award-winning online resume formatting system, iReformat has a $29.95 a month plan for 50 resumes a month and a free plan for 3 resumes a month as well as larger plans, of course. Their average plan is $112.95 for 250 resumes a month. If you do pretty much any hiring, there is a resume formatting service for you. There’s no risk involved, at least not with iReformat. They offer free trials for all of their plans, except the custom enterprise plan. You can get the feel of the software at no expense, and they don’t even ask for your credit card information like most companies do with free trials. You can also change your plan, upgrading or downgrading at any time depending on your need. There’s no contract, just monthly pricing you can change at any time. This is particularly important for small businesses who need to frequently adapt to larger or smaller budgets. Are There Downsides to Using an Automated Resume Formatting Service? There is one. Because it is automated, it doesn’t work the same as a human brain. It can be better than a human, working faster and not getting tired or bored. But it also can’t reason out unexpected issues like a human brain. If someone sends a resume that the software can’t process, it can produce poor results or a discarded resume. Thankfully, this is pretty rare. Vendors of recruiting software work to reduce the possibility of it all the time. There is also a lot of advice online for job candidates to educate themselves on how to craft a resume that recruiting software can read effectively. New resume templates suggested to candidates will also take recruiting software into consideration. To prevent the occasions where it may still occur, despite all those measures to prevent it, your careers page should include tips on providing resumes that can be read by the online resume formatting system. If people still submit a resume that can’t be processed after online advice and your own suggestions, then it appears their research and thorough reading skills need some work. Well, the first order of business is to determine if it handles the amount of resumes you need. You will, of course, have to know how many resumes you receive per month on average. Choose a vendor who offers plans that allow you to create your own custom templates and to have an unlimited number of them. You may not need this at first, but should you want to upgrade, it’s important to have that option. Find one that offers free trials so you can determine if you like it before you purchase. There’s no reason you should have to take that risk. Choose a vendor who uses monthly plans rather than contracts. People hate contracts because they can’t cancel, upgrade, or downgrade a service as needed. This can cause stress and unnecessary costs. You may be locked into software that doesn’t suit your needs anymore. Thankfully, some vendors let you pay by the month and change or cancel your plan on a whim. You want those. Read what the vendor tells you about their security policy to ensure your information is safe from hacking and data loss. Consider customer service. You don’t want your hiring initiatives to be slowed down if your resume formatting software stops working. You should read what the vendor says about their customer service policies and look for reviews from past and current users. An online resume formatting system is software that automates the process of making all resumes fit the same set format. All your resumes can have dates and names in the same format, contain no contact information for sending to clients, have sections displayed in the same order, and more. And you don’t have to do anything. This saves hiring managers and recruiters a lot of time that they can spend on more worthwhile hiring activities. Don’t think it’s not for you either, any business can use and afford a resume formatting service. Resume Formatting Tool: Does Formatting Matter? Small Business Applicant Tracking System or CRM?